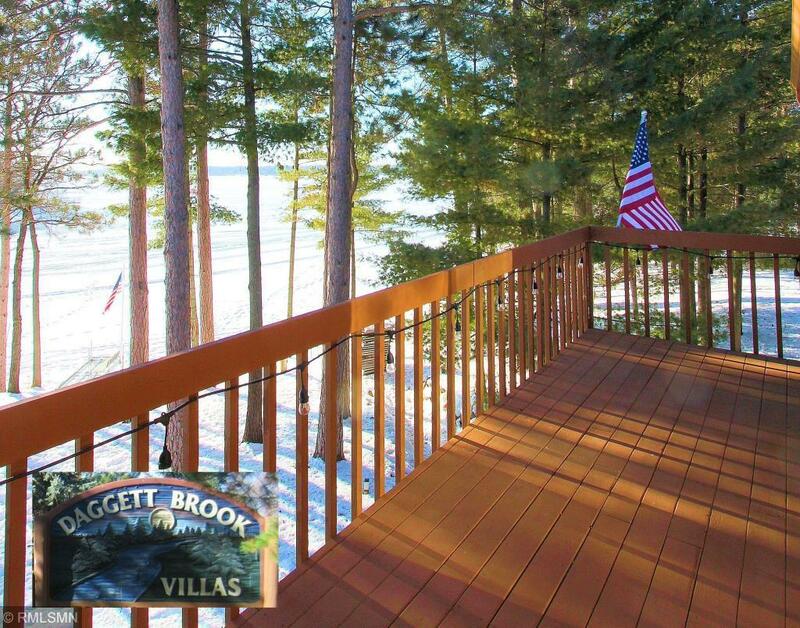 Retreat to this 2 bedroom 2 bath Daggett Brook condo situated on Cross Lake. Enjoy maintenance free lake living, private boat slip and 1400 ft of shared sand frontage. End unit condo comes mostly furnished, has an Up North feel, knotty pine accents, hardwood floors, lovely kitchen with granite counter tops, master bedroom suite, stunning sunset views and a private deck. Enjoy beautifully landscaped grounds, additional rooms for guests and a great Crosslake location close to all the amenities.